People will notice. Then someone will ask, "What's that you're wearing?" And you can answer, "Coffee beans," "Tea leaves," or "Rose petals." 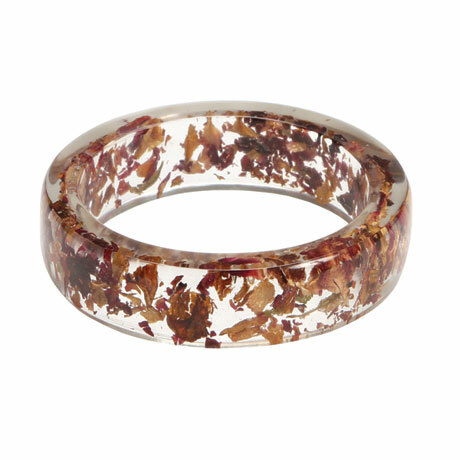 Suspended in clear resin to look forever new, real roasted coffee beans, dried pekoe tea leaves, and dried rose petals define surefire conversation starters. 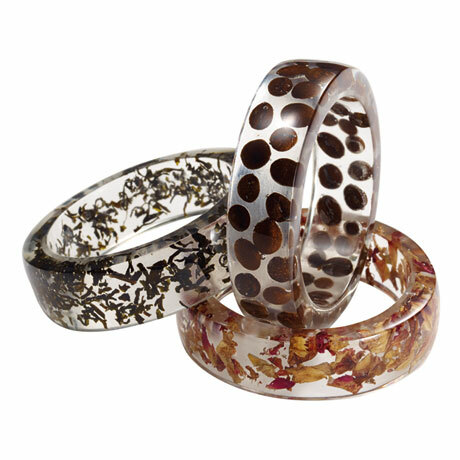 Bangle bracelets are 1" wide, ¼" thick, with a standard size opening (2½" inside diameter) to fit most wrists. Sold separately.